People in Diagon Alley were going about their business but there was a man there who was obviously out of place by the way he was dressed. He had black hair tied into a ponytail, pale skin & red eyes with black commas in them. He wore a black cloak with red clouds & wore black sandals. The man had an emotionless expression on his face even when he was being checked out by the women. Konan wove her way through the crowds, occasionally gently shoving someone out of the way. She wore the same black and red cloak as the man. She stopped in front of him, her face blank "hello itachi....its been too long..."
The man known as Itachi looked at her. "Hello Lady Konan" he said with a slight tilt of his head, indicating he was bowing. she returned the bow and regarded him calmly and carefully "you're strength has increased since our last encounter if i am not mistaken..."
"Yes it has Lady Konan" he said in a emotionless voice. nods "i thought so..." an oragami bird fluttered down into the palm of her hand "hm...we have unwanted company..."
Itachi raised a slender eyebrows. "How so?" he asked as he scanned the area, not seeing anything out of the ordinary. Itachi jumps from wall to wall & lands on the rooftop besides Konan. scans the area, spotting a slight movement out of the corner of her eye "ah, found them..."
Itachi looks to where Konan was looking. she smiles a fraction, but it was hidden by her cloak "it's time to play my role as an Angel of Death," ruffles her wings "...care to join me, Itachi?" ooc: am i rping as konan well? Itachi answers by taking out a kunai. Itachi quickly made hand seals. 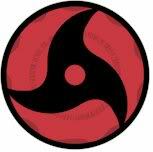 "Fire Style: Great Fireball Jutsu" he said as he exhaled a humongous fireball at the men. 2 of the 4 men burned and perished under the flames. Konan dived at the other two. A few ripping noises and metalic scrapes were heard. The other two men dropped to the ground dead. "Lady Konan, look at this" Itachi said as he showed her one of the guy's left wrists, showing a picture of a skull with a snake eating it's own tail wrapped around it. she checked the other 3 "they all have the same tatoo....a cult maybe?" "It is possible" he said. drops the mans wrist "i think i have seen that tatoo before...yes....on wizards here in this very alley,"
"I wonder who these would be assassins are" he said. "i'm not sure....but their alliance seems to be over 1000 strong, but i may be wrong..."
"I killed more people then that during the night of the Uchiha Massacre" he said, making it sound more like a simple statement instead of bragging. nods "yes, i know, but we dont know how strong this alliance may be..."
"Obviously, they are weak. We killed them before they even drew their weapons" he said boredly.